One of the world’s most lucrative architectural prizes has just announced this year’s winners—six stunning projects that enhance understanding and appreciation of <a href="https://inhabitat.com/tag/islamic-architecture/" target="_blank">Islamic</a> culture through architecture and design. The six winners were whittled down from a shortlist of 19 candidates and will receive a $1 million dollar prize. 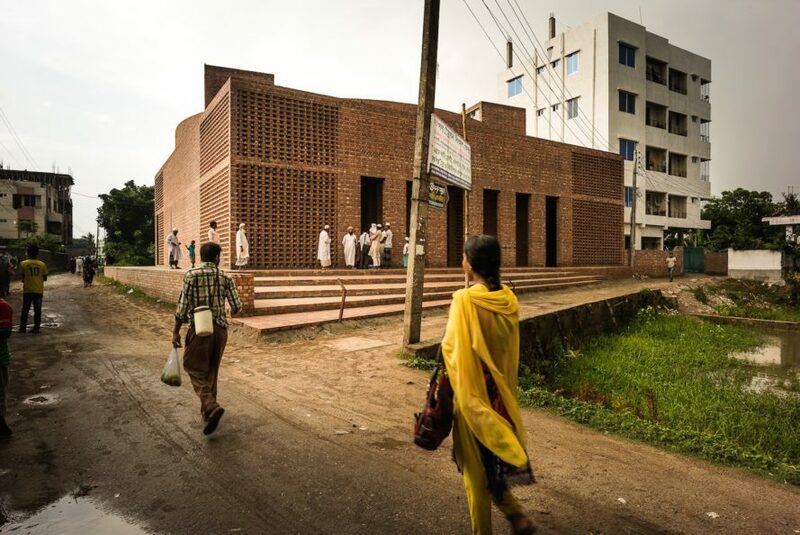 Given every three years since 1980, the <a href="https://inhabitat.com/tag/aga-khan/" target="_blank">Aga Khan Award for Architecture</a> honors exemplary projects that “successfully address the needs and aspirations of societies across the world, in which Muslims have a significant presence.” Read on to see the six winners. 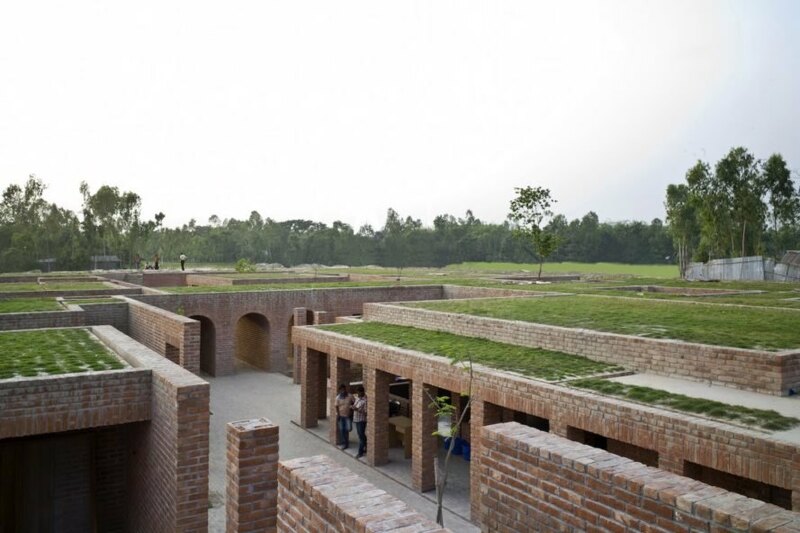 <h1>Friendship Centre by Kashef Mahboob Chowdhury</h1> Inspired by one of Bangladesh’s oldest urban archaeological sites, the Friendship Centre was designed by URBANA founder and Bangladeshi architect <a href="http://kashefchowdhury-urbana.com" target="_blank">Kashef Mahboob Chowdhury</a> for an NGO that works with the local impoverished population. The naturally ventilated <a href="https://inhabitat.com/architecture/green-roof/" target="_blank">green-roofed</a> buildings are made from local hand-made brick with an ancient monastic aesthetic. The Friendship Centre defends itself against the area’s frequent floods and earthquakes with a rammed earth embankment that surrounds the site as well as with a water run-off pumping facility. <h1>Hutong Children’s Library & Art Centre by ZAO/standardarchitecture / Zhang Ke</h1> The Hutong Children’s Library & Art Centre is a small and quiet nine-square-meter children’s public library located near a major <a href="https://inhabitat.com/tag/mosque/" target="_blank">mosque</a> just one kilometer from Tiananmen Square in Beijing. 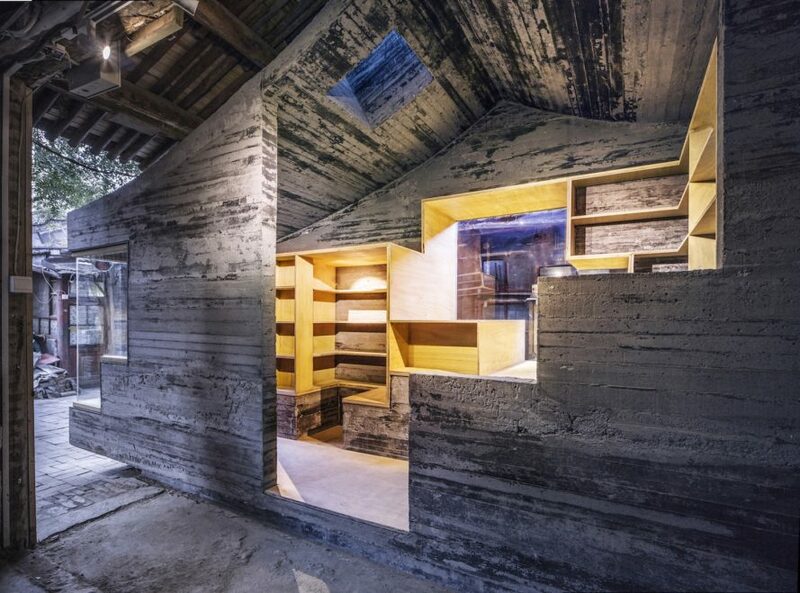 Designed with the input of local families, the library was inserted beneath the pitched roof of an existing building as part of a project to preserve and strengthen the Hutong architecture and lifestyles, rather than raze the site as most <a href="https://inhabitat.com/architecture/renovation" target="_blank">renovation</a> projects do. The new contemporary insertion was built of concrete mixed with Chinese ink as well as recycled gray brick and warm plywood. 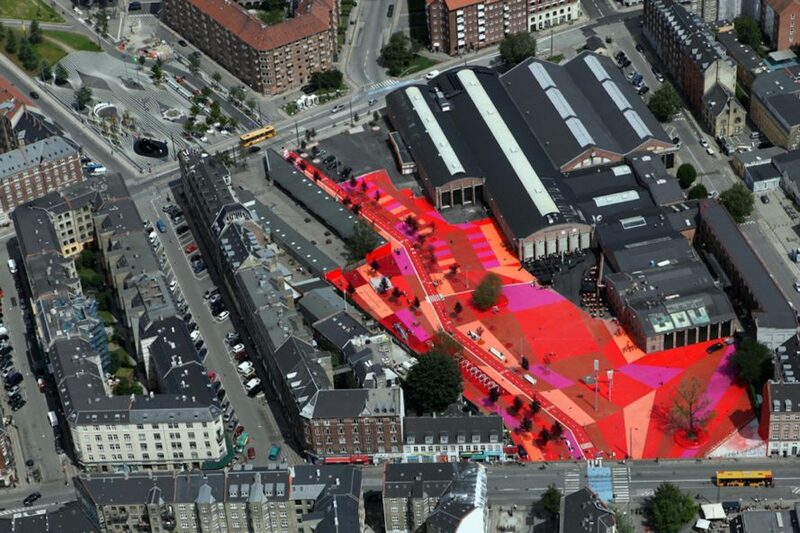 <h1><a href="https://inhabitat.com/bigs-quirky-kilometer-long-superkilen-park-celebrates-diversity-in-copenhagen/" target="_blank">Superkilen by BIG and Superflex</a></h1> The <a href="https://inhabitat.com/tag/superkilen" target="_blank">Superkilen</a> is a kilometer-long park located in Copenhagen’s Nørrebro district, one of the most ethnically diverse and socially challenged neighborhoods in the Danish capital. The urban park promotes the revitalization of the area and integration among the over 60 nationalities present with stimulating design comprising three areas: the ‘Red Square,’ the ‘Black Market,’ and the ‘Green Park.’ <a href="https://inhabitat.com/tag/play-space/" target="_blank">Play spaces</a> and active recreation zones abound as do relaxing passive spaces. Globally found objects that symbolize the home countries of those who inhabit the area punctuate the park, such as neon signs from Qatar and Russia and bollards from Ghana. 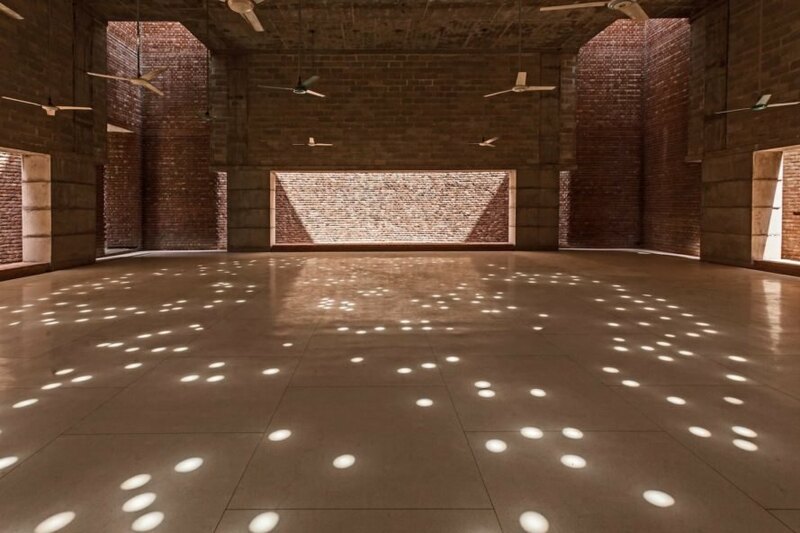 <h1>Bait Ur Rouf Mosque by Marina Tabassum</h1> Located in Dhaka, the Bait Ur Rouf Mosque was born from architect Marina Tabassum’s ambitions to carry out her late grandmother’s desire for a neighborhood mosque. The 754-square-meter contemporary square structure was built with brick using local methods. Since the mosque was built with the qibla direction, the site had a challenging 13-degree angle that the architect solved by inserting a cylindrical volume inside the building. Perforations in the walls and roof allow <a href="https://inhabitat.com/tag/natural-light" target="_blank">natural light</a> and ventilation to pass through and create a beautiful play of light inside the column-free prayer hall. 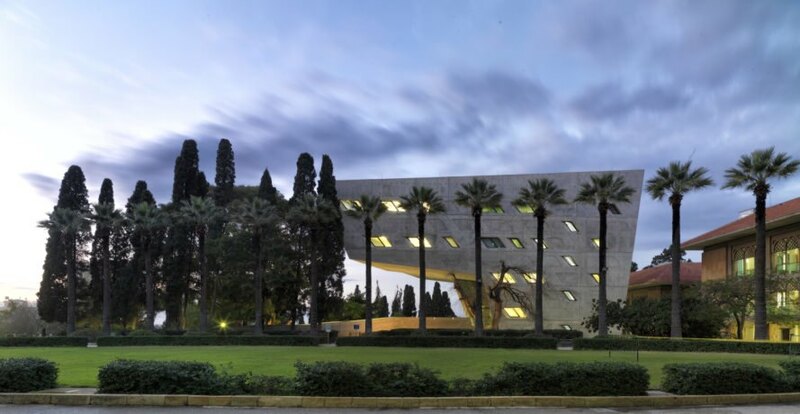 <h1>Issam Fares Institute by Zaha Hadid Architects</h1> <a href="https://inhabitat.com/tag/zaha-hadid-architects" target="_blank">Zaha Hadid Architects</a> designed the Issam Fares Institute for Public Policy and International Affairs for the <a href="http://www.aub.edu.lb" target="_blank">American University of Beirut</a>. The design of the campus building reflects the think tank’s mission to promote neutral, dynamic, and civil conversation between diverse groups. The 3,000-square-meter, six-story concrete building sports a dramatic 21-meter-long cantilever to significantly reduce the building’s footprint. 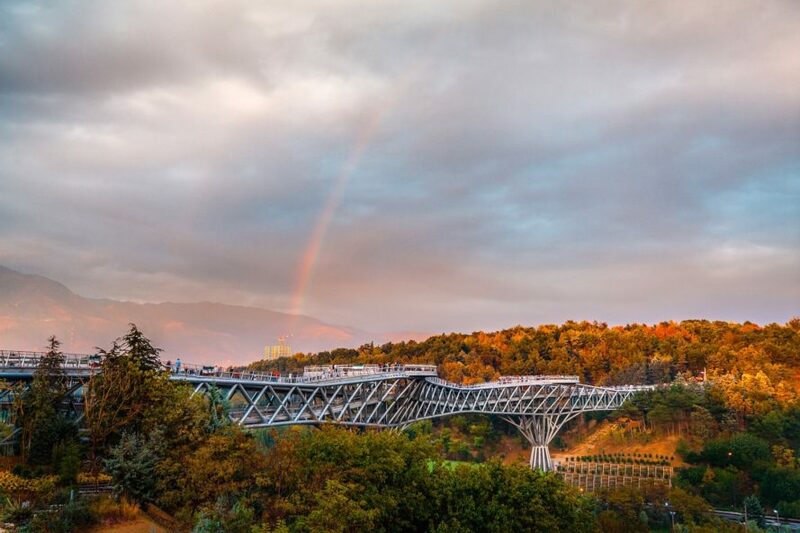 <h1>Tabiat Pedestrian Bridge by Diba Tensile Architecture / Leila Araghian, Alireza Behzadi</h1> The Tabiat Pedestrian Bridge is not your average <a href="https://inhabitat.com/tag/bridge" target="_blank">bridge</a>. Designed by <a href="http://www.dibats.com" target="_blank">Diba Tensile Architecture</a>, this piece of infrastructure in Tehran is not only used as a pathway to connect two parks, but also serves as an inviting and sculptural public space. The 270-meter-long curved pedestrian bridge offers spaces for people to congregate, eat, and rest. Green spaces, seating, kiosks, and beautiful surrounding views have helped establish the bridge as a popular public destination. One of the world’s most lucrative architectural prizes has just announced this year’s winners—six stunning projects that enhance understanding and appreciation of Islamic culture through architecture and design. The six winners were whittled down from a shortlist of 19 candidates and will receive a $1 million dollar prize. Given every three years since 1980, the Aga Khan Award for Architecture honors exemplary projects that “successfully address the needs and aspirations of societies across the world, in which Muslims have a significant presence.” Read on to see the six winners.